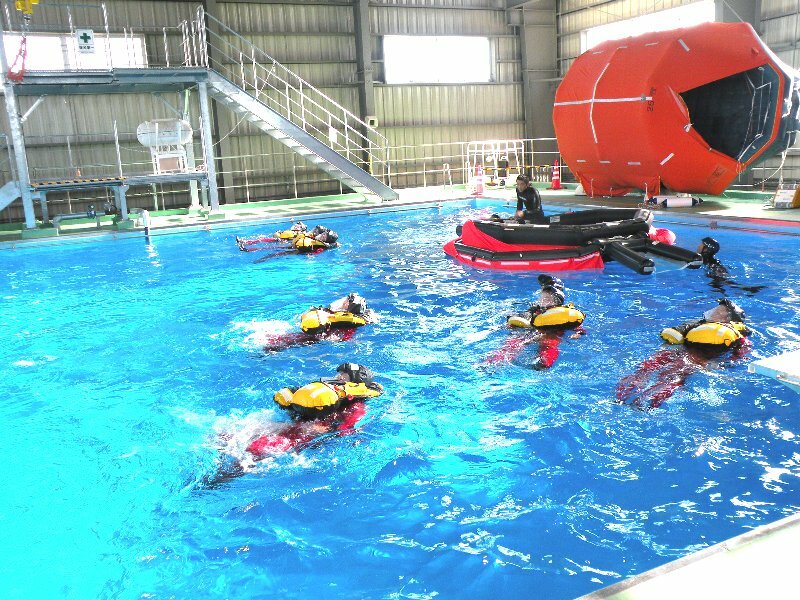 OPITO approved Basic Offshore Safety Induction & Emergency Training (BOSIET) From 3rd to 5th October. From 3rd to 5th October, 8 delegates from 3 different companies completed the course encouraging each other pleasantly and cheerfully. NSTC would like to deliver practical training so that the delegates will be able to make great use of the training in both their job and in the private life. We are very happy to have received delegates’ comments as follows. Let’s board the life-raft using inflatable EBS after heli ditching! 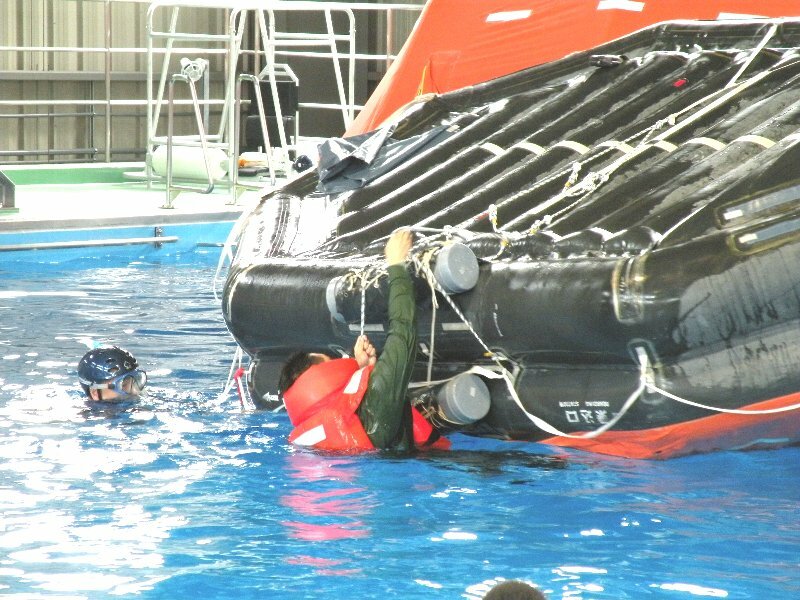 Righting the life-raft to let our crew on board!